The story of Intel’s 8th generation Core CPU rollout has been full of twists and turns. The product that we are testing today represents a major strategy shift for Intel, as it deals with fresh competition from AMD after nearly a decade, potential new competition from ARM-based manufacturers, the continuing general shift away from PCs, and the collapse of multiple efforts to widen its scope of operations. The Intel Core i7-8700K is the company’s top-of-the-line 8th Generation Core processor, and is aimed at gamers and enthusiasts. As expected, it’s unlocked for easy overclocking and promises to significantly outperform its predecessor, the Core i7-7700K. What’s new is the 50 percent increase in the number of physical cores, and a surprising split in the product line that changes what “8th Generation” actually means. We’ve got the whole story, and we’ve put this new processor through a battery of tests, so you can decide whether this will be your next big upgrade. The biggest news about the 8th generation is that there will be more CPU cores at every level. Core i3 processors move up from dual-core to quad-core, and all Core i5 and i7 models now have six cores instead of four. Hyper-Threading is now restricted to the Core i7 line, and so for the i7-8700K, six cores means 12 simultaneous threads. We’re happy that both prices and thermal envelope ratings remain roughly the same compared to the previous generation. But there’s more to it than that. This CPU family, codenamed ‘Coffee Lake’, only exists because of repeated delays to Intel’s planned 10nm ‘Cannonlake’ process shrink that was supposed to launch last year. Last year, Intel has had to improvise with the ‘Kaby Lake’ generation to keep the yearly refresh cycle going. Kaby Lake was the first to break Intel’s tick-tock cycle of alternate-year refreshes and process shrinks, leading to a third 14nm generation as a buffer. However, Cannonlake is still not ready to go mainstream. That brings us to the 8th Generation Core brand. Whereas prior to this one architecture or process change represented a generation, Intel has split this one three ways, with three very different products catering to different product segments. We’ve already seen the rollout of ‘Kaby Lake Refresh’ – yet another surprise 14nm “half-step” for premium laptops, and now Coffee Lake, another “optimisation” step which will serve the desktop CPU segment. The final piece of this puzzle will be the eventual appearance of Cannonlake at 10nm, but only for ultraportable laptops and hybrid tablets. Oh, and Intel’s Core X-series parts are also still in the market, awkwardly positioned as more powerful despite being older. The three CPU architectures that come under the “8th Generation” umbrella are all different, except for the fact that individually, products based on them are each faster and better than their 7th-gen equivalents. For Intel, this is enough. Very few consumers care about architectures, much less nanometre-scale manufacturing process differences. For us, it’s worth questioning – but Intel isn’t really discussing how or why it arrived at this strategy. Intel also won’t directly acknowledge that AMD forced its hand, yet it seems like the logical conclusion to draw. AMD stormed the scene with 8-core/ 16-thread Ryzen 7 CPUs this February, and while 7th Gen Core i7 parts still had performance advantages in some areas, this was a huge weakness just waiting to be exploited. Yet another point to note is that these CPUs have launched just nine months after the 7th generation desktop parts, cutting short the life of Kaby Lake rather prematurely. Whatever Intel’s reasons are, internal and external, it’s the customer that benefits. We’re going to test the Core i7-8700K against its predecessor, the Core i7-7700K, as well as AMD’s Ryzen 7 1800X and a wildcard, Intel’s Core i7-7740X. There are only six 8th Gen desktop ‘Coffee Lake’ CPUs: one locked and one unlocked model each in the Core i3, Core i5, and Core i7 families. We have the top-end model with us for review, the Core i7-8700K. 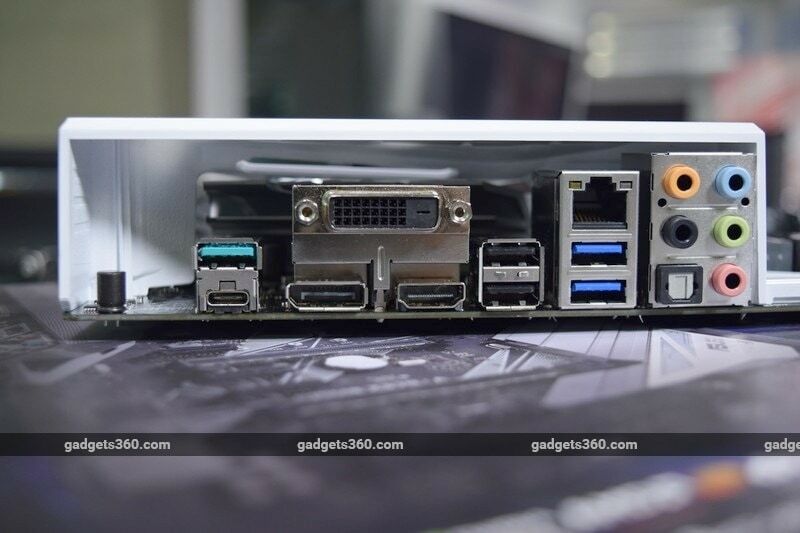 It has a base clock speed of 3.7GHz and a boost speed of 4.7GHz. That base is considerably lower than the 4.2Ghz minimum spec of the Core i7-7700K, but as long as the CPU is able to clock up on demand, that shouldn’t affect real-world usage. Intel has slightly changed the way it describes its Turbo Boost feature, which is effectively a form of dynamic overclocking. Now, instead of telling end users how fast a CPU can go with all cores, it tells us only the single-core peak. Because all cores have to work within the same thermal and voltage constraints, there are situations when all of them will clock up slightly, or just one will clock up drastically. While that 1GHz speed gain seems like a huge bonus, it doesn’t necessarily mean the entire CPU is pushing that far. Intel says that the performance improvement of an i7-8700K compared to the i7-7700K could be as much as 32 percent for 4K video editing, 25 percent when gaming, or 45 percent when gaming and streaming video simultaneously – though of course these are very specific, carefully selected scenarios. Few people upgrade year-on-year, so Intel also says performance can be up to 7.8X faster compared to the 4th Gen ‘Haswell’-based Core i7-4790K. It comes as a huge surprise that Intel hasn’t upgraded the integrated graphics component of its CPUs at all with this generation. The name changes from Intel HD Graphics 630 to Intel UHD Graphics 630 for the sake of marketing, and there’s a miniscule 50Mhz peak speed increase, but that’s it. This might not be any loss for enthusiasts using discrete graphics cards anyway, but it’s strange and disappointing that Intel couldn’t (or didn’t think it worthwhile to) make even the slightest improvement. There are still only 16 PCIe lanes coming off the CPU, which isn’t surprising as this was the limit even for the more aggressively positioned Kaby Lake-X models. However, in another bit of marketing spin, Intel now refers to Coffee Lake as supporting “up to 40 platform PCIe lanes” which refers to the total number arising from the CPU plus PCH, and is incidentally unchanged from before. Some people comparing Intel and AMD products might not spot the difference, which seems to have been the intention. 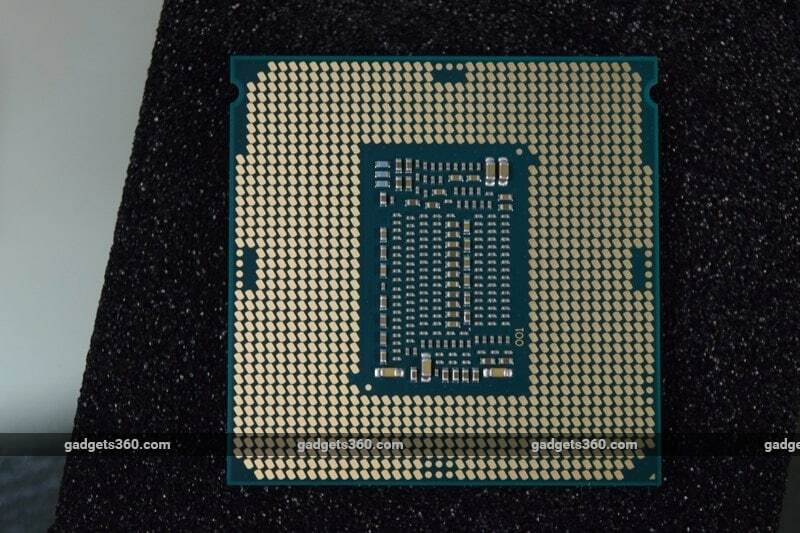 Coffee Lake CPUs have the same number of pins as Kaby Lake and Skylake ones, but you’ll still need a new motherboard because of the more robust power subsystem required by the additional cores. Intel says that support for faster DDR4-2666 RAM is another reason for the physical changes. There’s a new platform controller, or chipset, called the Z370 to help manufacturers sell new motherboards. It’s also very interesting to note that there are no lower-end H-series or corporate B-series versions of this controller, which means that all current Coffee Lake motherboards support overclocking, but are relatively expensive. This might not mean much for Core i7 buyers, but it makes little sense to pair the Z370 with the lower-end multiplier-locked i5 and i3 models. The Z370 is pretty much identical to the Z270. We would have liked native USB 3.1 Gen 2 (10Gbps) if not Thunderbolt 3 (40Gbps). It’s possible that Intel had to rush this release, and there are alleged leaks online of a purported Z390 with faster IO, new HD audio, and even integrated Wi-Fi, launching next year. 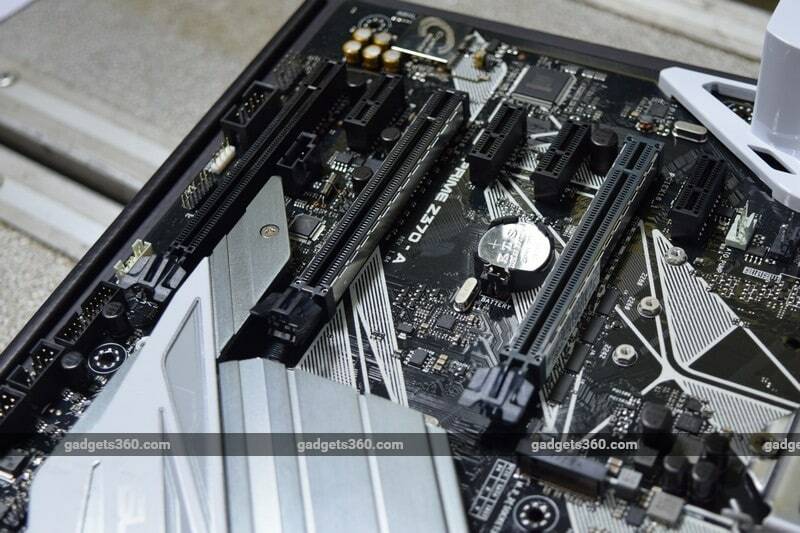 Asus, Gigabyte and MSI have all launched a few Z370 models in India, none of which are listed online for less than Rs. 11,000. 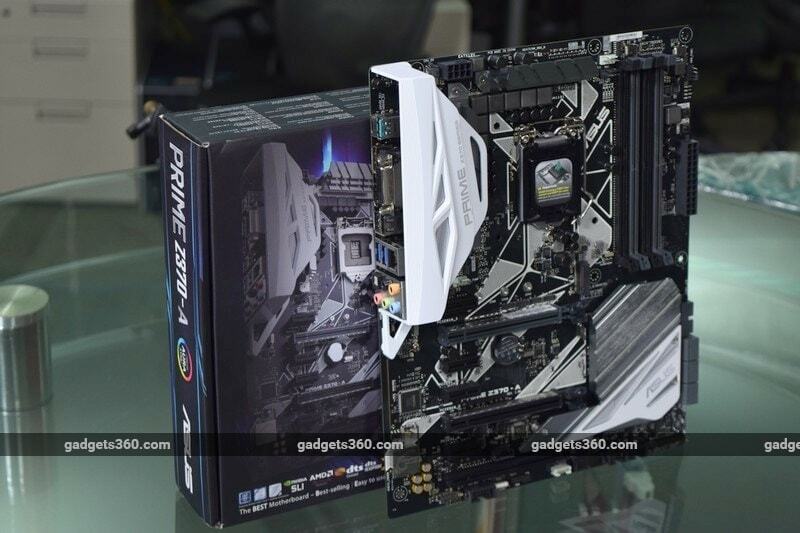 Asus sells a number of extravagant, over-the-top motherboards in its Republic of Gamers and Strix ranges, but what we have with us today is a far more reasonably priced model from the Prime series. You might not get all the bells and whistles, but core functionality is pretty much dependent on the Z370 platform controller, so all the essentials are covered. Compared to what we’ve seen before, the packaging is pretty basic and functional. The board itself has a relatively subdued black-and-white theme, but there’s still a large heatsink over the PCH, and a plastic shroud over the rear port cluster so you know you aren’t scraping the bottom of the barrel. This board isn’t very densely packed. There are two small heatsinks near (but not directly on) the voltage regulators around the CPU socket, which seem to be there primarily for decorative purposes and have very sharp corners. The primary M.2 slot is covered by the extended PCH heatsink and you’ll need to deal with three screws when instsalling an SSD, much like the design of the higher-end ROG Strix X299-E that we also reviewed recently. There are two PCIe x16 slots with metal reinforcement, which are wired directly from the CPU. If you’re using two graphics cards, both slots support only x8 speed. The third plain slot can physically hold x16 cards but is only wired for x4 speed. 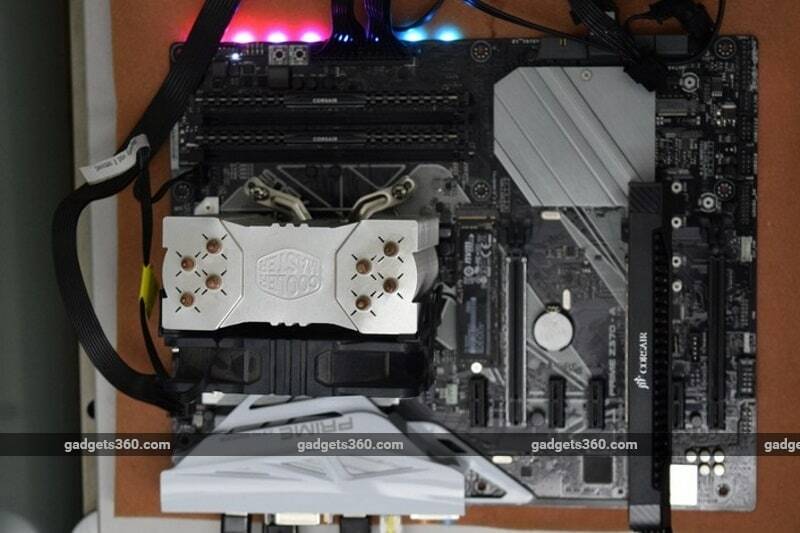 There are also four PCIe x1 slots, and a second M.2 slot with no heatsink. You’ll lose two of the six SATA ports if you set the second M.2 slot to use the full four PCIe lanes that today’s SSDs are designed for. The rear panel is also curiously sparse. There are only two USB 2.0 ports and two USB 3.1 Gen 1 (5Gbps) ports, plus a set of Type-C and Type-A USB 3.1 Gen 2 (10Gbps) ports. There’s also a trio of display outputs (DVI-D, HDMI, and DisplayPort), a Gigabit Ethernet port, five assignable 3.5mm audio jacks and one optical S/PDIF output. We don’t really mind the lack of a legacy PS/2 port, but expected at least four more USB 2.0 or 3.0 ports. There are still onboard headers for more ports, so you can buy add-in brackets or a cabinet with lots of front ports if you have anywhere near the number of USB devices that most enthusiasts do. The UEFI BIOS is pretty much exactly what we’ve come to expect from Asus boards over the past few years. It’s well laid out, and while you see a more graphical “Easy mode” by default, it takes only one click to switch to “Advanced mode” where the controls for all subsystems and overclocking settings are found – and there are a lot of them, not all of which have helpful explanations. We also weren’t fans of the animated background, but that’s just a small niggle. You can also control many of the same parameters through Windows using the AI Suite software that can be downloaded from Asus’s website. One enormous trend sweeping the PC industry for the past year or so is RGB LED lighting. Such a feature has no bearing whatsoever on performance, but appeals to those who like to show off with windowed cabinets or open builds. We’ve seen some truly elaborate implementations, but on the Prime Z370-A, it feels almost like Asus’s engineers were forced to include LEDs just to keep the marketing team happy. There’s only a single line of eight LEDs on the underside of the board’s front edge. They might be visible in some cabinets, but they’re partly blocked by the large 24-pin power cable and won’t highlight any of the components you might have that are worth looking at. This implementation seems quite half-hearted. At least there’s one connector for an additional LED light strip, and any hardware compatible with the Asus Aura control software will be able to pulse or flash synchronously. Overall, in terms of features and capabilities, the Prime Z370-A is more of a workhorse than a showpiece. It’s perfectly competent, and the lack of extras such as integrated Wi-Fi, loads of ports and slots, or over-the-top design elements isn’t a complaint. It also isn’t Asus’s fault that there’s nothing new in terms of platform capabilities with this generation of CPUs and controllers, which contributes to making the Prime Z370-A feel unexciting. Its price is on the higher side, but you do get all the essential features and full overclocking support with a little bit of visual flair thrown in. There’s one critical note we have to make here related to how both Intel and Asus optimise performance – a single setting nestled within the BIOS called Multi Core Enhancement, which overrides the default Turbo Boost behaviour and forces all cores to run at their highest possible setting all the time. As we stated earlier, the Core i7-8700K is only really designed to reach 4.7GHz with one core at a time, but with MCE turned on, all six cores get pushed to this level. This can boost performance in many situations, but can also lead to instability, a spike in power draw, and the resulting heat and fan noise. The problem is that Asus (and some other manufacturers) now enables this behaviour by default, and the user has no way of knowing that the CPU is running out of spec. The BIOS doesn’t even tell you what’s going on – the choices you have are “Auto” and “Disabled”, and with no description, most people would just leave MCE set to “Auto” without giving the matter much thought. Of course, benchmark scores get inflated, and controversy has erupted online for this very reason. We ran our tests twice with both settings to illustrate the differences, and monitored core temperatures, voltages and speeds throughout. As you can see, Cinebench R15 showed a huge spike while other tests weren’t as drastically affected. In fact, some results were actually worse, which could be attributed to thermal throttling. The CPU’s voltage consumption rose from around 1.184V to 1.328V under stress with all cores holding steady at 4.7GHz. Multi Core Enhancement isn’t a new feature, but buyers need to be certain of what they are getting, and we would suggest at least seeing how things go with it turned off before just accepting the default. Intel claims that the Core i7-8700K is its best ever CPU for gaming, and our benchmarks as well as real-world experience seems to bear that out. Gaming was the one area in which AMD’s Ryzen 7 1800X struggled to keep up with the Core i7-7700K, and its successor widens its lead. Performance was also excellent across general-purpose benchmarks and real-world application tests, though there are still scenarios such as the multi-core Cinebench R15 test in which the 8-core Ryzen maintains its lead over the 6-core Core i7. The comparison with Intel’s own Kaby Lake-X Core i7-7740K is confusing – these two chips clash, and even Intel doesn’t seem to have their relative positioning sorted out. After testing with MCE on and off at stock speed, we then turned our attention to overclocking, which is of course the appeal of the expensive Core i7-8700K. We found that the one-click BIOS tuning tool took us up to 5.0GHz in Extreme Performance mode, while Asus’ AI Suite desktop software determined 4.9GHz to be the sweet spot. Your results will vary depending on the cooler you use, and of course manual tweaking can take you further. Runnning at 5GHz, we were able to achieve scores of 216 and 1610 in Cinebench’s single- and multi-core tests respectively. SiSoft SANDRA’s CPU Arithmetic, Multimedia and Encryption test scores rose to 243.89GOPS, 717.2MPix/s and 12GB/s respectively, but POVRay crashed out halfway through. The Core i7-8700K obviously enjoys a performance lead over its predecessor and we’re glad to have the additional cores even if it took Intel a while to get to this point. Kaby Lake CPUs aren’t even a year old yet so we wouldn’t advise anyone to upgrade, and as always the benefits will mean much more to those a few generations behind. 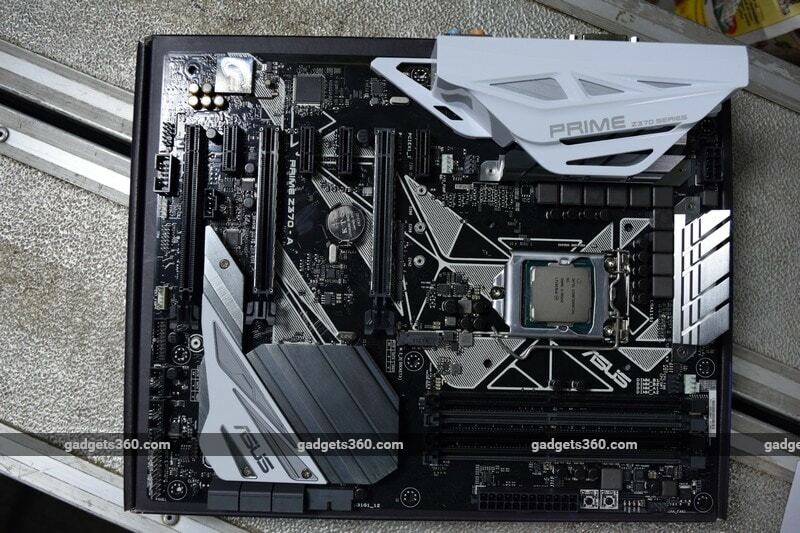 The Asus Prime Z370-A is a fine board to pair a CPU with if you aren’t looking to show off, and if you know exactly which defaults need to be overridden. In the wrapup to our Core i7-7700K review, we expressed the hope that AMD would force Intel into a fight, and cited rumours of six-core Coffee Lake chips that would take a year to make it to market. Nine months later, and here we are – AMD did exactly that, and six-core Coffee Lake CPUs now exist, but sooner than anyone would have guessed. Clearly, this company doesn’t want to risk doing too little, too late. Competition truly is a wonderful thing. Intel might have upped its game, but it seriously rushed this launch. Coffee Lake feels like a transitional step that was whipped up at the last minute, what with the lacklustre motherboard situation, no improvements to the integrated GPU worth mentioning, and the short gap between the previous generation and this one. Supplies are extremely limited around the world, and despite being officially launched, the Core i7-8700K specifically is not likely to be available in India in any meaningful quantities till mid-November. Branded PCs with these CPUs aren’t even being announced internationally yet. Because of pricing, the channel might be trying to flush quad-core seventh-gen units, which are now suddenly a lot less attractive. When pricing and availability stabilise, this CPU will be a very good choice. We have similar reservations about the x300-series platforms – right now, having just the Z370 restricts choices and keeps prices high. It’s also a mismatch for most of the CPUs that have launched, keeping the advantage solidly in AMD’s court. We see every indication that the situation will improve at the beginning of next year, and so anyone who buys a Z370 board now will have every right to be upset if a much more capable replacement comes out that soon. At this point, the longevity of this generation of CPUs and motherboards is unknown, considering that we’d expect Intel’s 10nm process to be ready for use across all product segments by this time next year at the very latest. It would have been nice if these CPUs had been drop-in replacements for Skylake and Kaby Lake, but that wasn’t to be. If you can wait for a while, it would probably be best to see what Intel launches next – and how AMD strikes back with its second-gen Zen products, for that matter. As tempting as every performance bump is, it won’t be long till there are better motherboards and possibly 9th Gen CPUs with even more cores based on Cannonlake or its successor using the long-awaited 10nm process.